Rotarian Valerie Comeau, Manager and Chatham Scotiabank staff presented a cheque for $1200 to Barbara Stothart, President of the Rotary Club of Newcastle. Scotiabank employees sold 1/2 and 1/2 tickets at Rotary Spring Fest and raised $600. 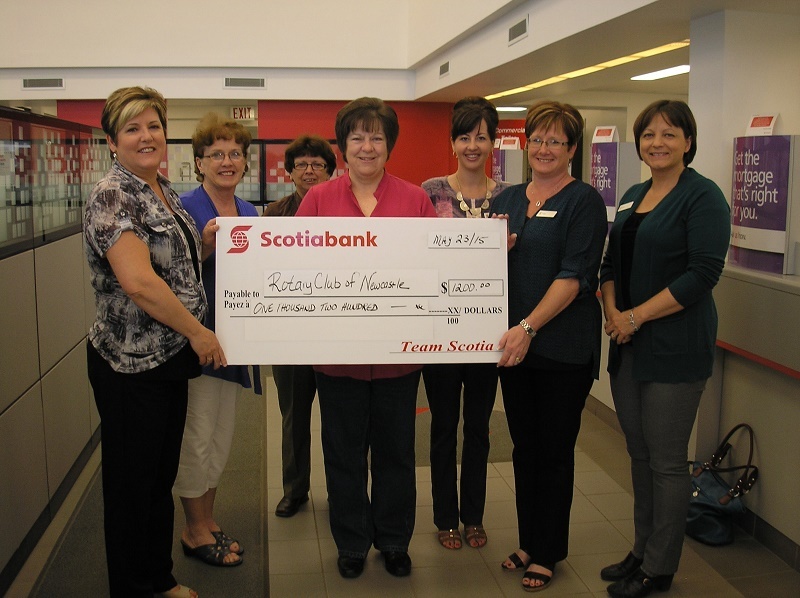 With Scotiabank’s Team Community Matching Program the were able to double that and donate $1200 to the Rotary Club. ← Great Pics from Saturday!